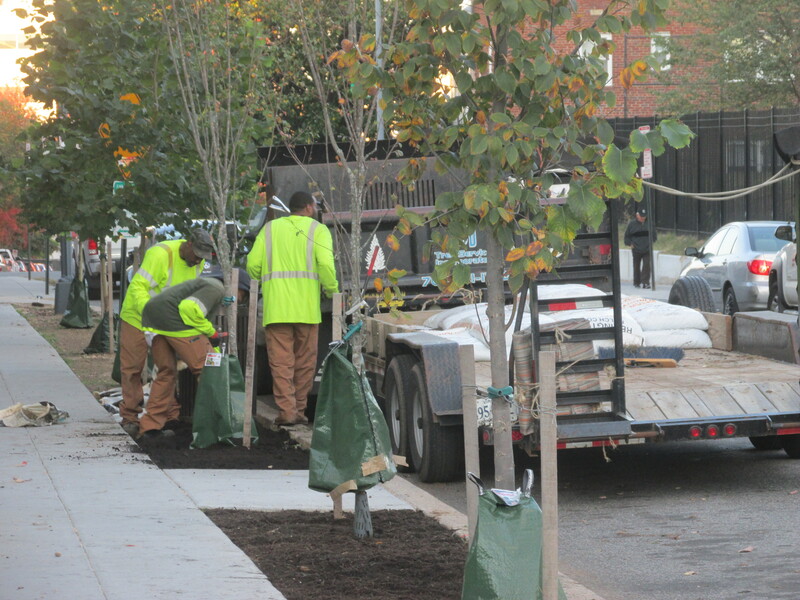 After Long Wait, New Topsoil Coming to Tree Boxes on Otis | Park View, D.C.
Getting the new trees established on the Otis Place side of the Park View school has been both an exercise in patience and rewarding in seeing how residents pull together to get things done. Earlier this year, when the summer heat threatened the new trees’ survival, neighbors who live near the trees pulled together, came up with a weekly watering schedule, and cared for the trees for the entirety of this growing season. Park View neighbors working together to add fill dirt to the tree boxes on Otis Place in September. A related issue has been getting topsoil to fill the tree boxes in the same section of Otis Place. Initially, I was told that the city would not supply topsoil even though DDOT had created the tree box areas that had subsequently sunk by 5″ or more. 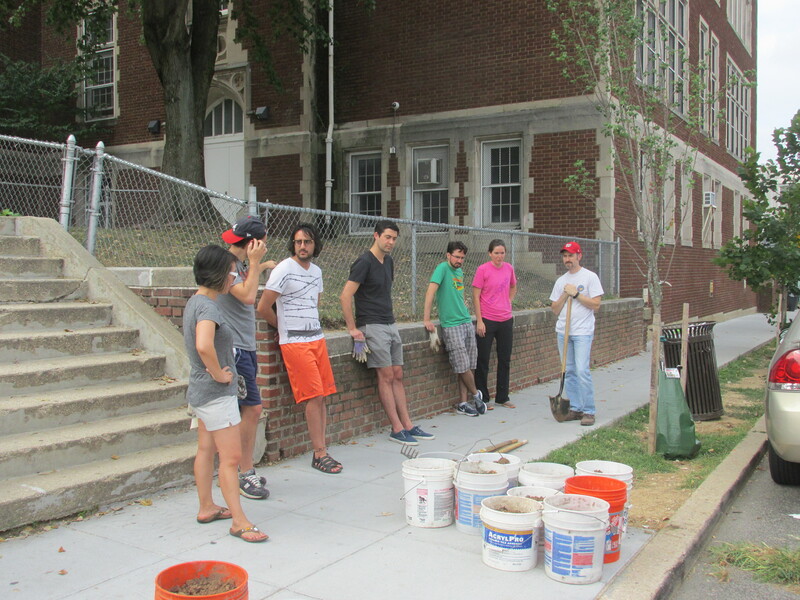 In September, the tree watering group attempted to find free fill dirt to accomplish the task. While there was some success in finding the free dirt, ultimately much more topsoil was needed than we could find. I’m happy to report that after working with the Mayor’s office and DDOT, this work has finally been scheduled to be accomplished today by the Urban Forestry Administration (soil, mulch, labor) and should occur in the morning between 8:00 am and 1:00 pm. 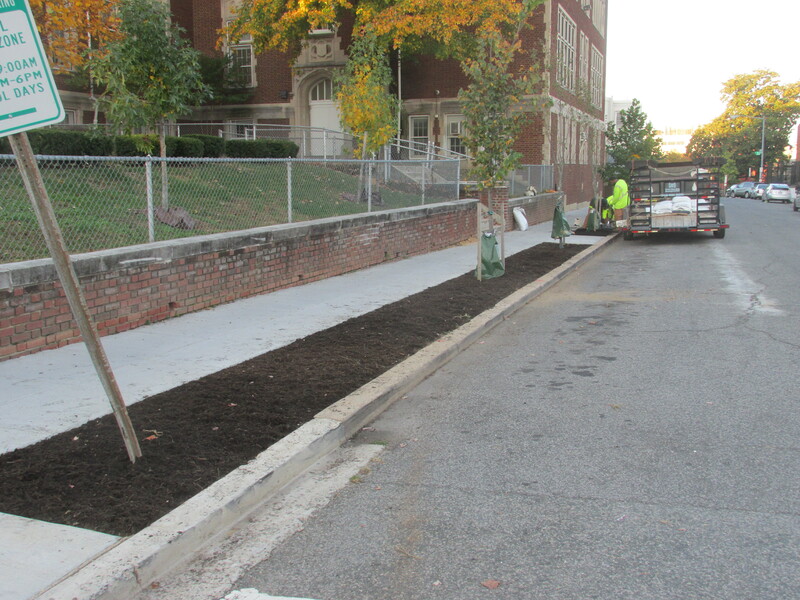 DDOT’s UFA is already out filling the tree boxes with topsoil and mulch. See photos below. This entry was posted on November 4, 2016 at 7:01 am and is filed under Streets and Trees. You can subscribe via RSS 2.0 feed to this post's comments. wonderful! looks great; need lots more of this in the neighborhood!